Stabilo have kindly given me a £25 goody bag of Stabilo products to give to one very lucky winner. Why not take a look at their website and discover their wide range of products for home, office, school, university and more - http://www.stabilo.co.uk. 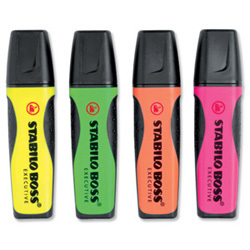 You can become a fan on Facebook at https://www.facebook.com/STABILO and follow them on Twitter at https://twitter.com/STABILOUK. Entry is via the Rafflecopter form below. The competition will be running from 5.30pm on 1st October 2012 until 4am on 31st October 2012. It is open to UK residents only, aged 18 years and over. Winners will be drawn at random on 1st November 2012 from all valid entries. Some of the kids colouring range. The STABILO woody 3 in 1 looks really good as I'm an art student so would come in handy! Black pens, and highlighters, maybe a stapler too - My next module DD206 has started with the OU so I get through stationary like no ones business. I would hope there would be a STABILO COM4ball - very comfortable to write with! Hopefully there will be some Stabilo highlighters..they are the best. Ooooh a pack of thier pastel fine liners because my daughters ruined mine! Black Pens. I always lose them and need them for forms. You can't beat the Highlighters, I have bought cheaper alternatives before but they are rubbish so no I always stick to the Stabilo highlighters. I am also a total sucker for highlighters, only way to organise my calender! love highlighters, they jazz up even a boring shopping list! I hope there will be some writing pens. I'd love a STABILO EASYergonomics as it has a nice big grip on it, my fingers a sometimes swollen, with my arthritis & I can't grip a normal pen, so one of these would be brilliant. I hope there will be some highlighters. the stablio ergo easy. I have a son with disabilities who need special grips on his pens in order to be able to hold them, and these look like a fab alternative. Gel pens and of course highlighters. I'd love the smartball in my goody bag. The Stabilo Trio Scribbi would be fab for my daughters. I love the ergonomically shaped pens - esp that you can get them left and right handed. Any pens for work! People keep 'borrowing' mine! I love their fine liners. I have used them since I can remember. They are amazing. Black pens - always go missing in my house! Stabilo highlighters are very handy indeed. The STABILO woody 3 in 1 pencils are lovely. Pens! any kind of pens! We really need some new highlighters, I had to throw our old ones out last week as they'd dried up! 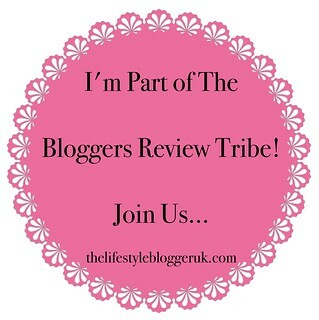 Hi-lighters are like gold dust in our house, so hopefully some will be in the bag! hi-lighters my kids have wrecked mine! I love coloured gel pens, so they would be nice, but any pens are great! Highlighters, my daughter uses them regularly for school. The Stabilo Boss Mini, perfect for putting in my handbag and taking to bingo with me! I love pens so any stabilo pens will do for me! We get through highlighters, so they would be very useful! The gel pens. The best quality pens on the market. Highlighter pens would be great as with cuts in the stationery budget these are few and far between. I buy my own now but everyone else keeps borrowing and they soon run out or go missing! Just any kind of pen! You can never have enough and they always disappear to some weird Narnia type Universe, never to be seen again. Hopefully a pen of some sort as they always come in handy! some sturdy pens or post it notes! I'd hope for some nice Fancy pens to write Christmas cards with,am going to make a lot of my own this year-to add a personal touch. I would love some highlighters as all mine have dried up! Any kind of pen - you can't have too many pens :P. There the sort of thing that some how just disappear whenever you need one. I would love anything from the "beach" range, really funky! Highlighters and pens can never have enough pens for work! The mini ghost highlighters - I would love to use them in my diary. I hope there are some felt tip pens love colouring in with the kids! I hope the STABILO EASYgel http://www.stabilo.com/pages-uk/products/easy-gel/ is in there because I have RA and find it very difficult to write most of the time. I think this might help.